The promotion made its debut at the location, which has both open air and an industrial ambiance, with a similar pro-am in June. 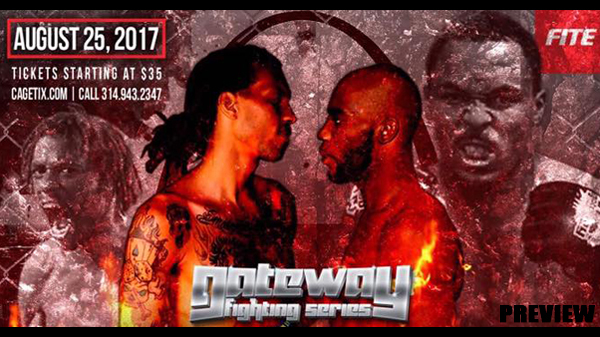 Headlining the event will be St. Louis staple Scott Futrell taking on Quartus Stitt in a match-up of veteran welterweights. The on-again, off-again Futrell - a 2016 STL MMA Pro Fight of the Year nominee for his victory over Lucas Gwaltney is 5-5 and began the calendar year with a kickboxing win over Darryl Cobb. He dropped a decision to Adrain Hadribeaj (8-1) in February in Michigan. Since the bout with Hadribeaj, Futrell has taken up training at St. Charles MMA with the recent closing of Modern Combat Systems which he had been a member of since the beginning. Stitt out of Springfield, IL has fought a who's who of local welterweights including Adam Meredith, Jake Collier, and Kyle Kurtz with a first round KO of Kurtz in March being his last trip to the cage. After a Coleman made his pro debut at the June GFS card. He put together a high-octane performance in getting a third-round submission of Ray Allard. The Academy of Courage products has won six of his last seven amateur bouts. Roye (0-4) had an extensive amateur career but has lost all four of his pro fights via submission and has only been out of the first round once. The St. Louis area's premier heavyweight, Byron Stevens is back in action. Byron Stevens will return to action for the first time since his pro debut in June, 2016 on a Bellator undercard. Stevens finished Lee Burns in the closing seconds of the second round of a spirited bout that garnered Pro Fight of the Year honors. 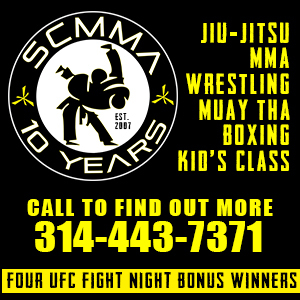 Stevens has joined teammate Futrell at SCMMA. McNeely started his career in 2016 with a second round submission win over Bo Kuntz but 2017 has not been kind to the Southeast Missouri product. McNeely lost a decision to Mike Wright, who had not fought in numerous years, in January. He then lost another decision in March to Shea Taylor at Cage of Honor 70 in Taylor's debut. Rounding out the all-pro main card will be Auhston Midkiff vs Trevon Crawford at a catchweight of 150-pounds. Crawford has taken it the distance in each of his last three fights, a loss to Irfan Mulabitinovic and wins over Jace Burcham and Kevin Mueller. Midkiff is the winner of a one-night 4-man MMA tournament for Shamrock FC, and has been inactive for most of this year. The undercard will feature amateur title fights at flyweight, lightweight, and strawweight. Sam Paneitz from the Wolves' Den Training Center has been perfect since the first time he laced up the gloves. Paneitz will face the tenacious LC Hamid, who has looked much improved in his last two fights. Gaston Marabotto from Watson Martial Arts will take on Zachary Burcham in a lightweight title, and should be a competitive match with Marabotto having a slight edge on the ground.